So when do you need to get your wisdom teeth removed? Most of the time we remove them when they are impacted which means fails to erupt due to clinically or radiographically detactable physical barrier in their eruption pathway or they are positioned in a ectopic way. Eruption of third molars occurs around 20-25 years old. Impaction of third molars occur when there is insufficient space for them to erupt , presence of obstructions in eruption path or maybe it is due to genetic causes. Early detection of impacted third molars and early removal is more preferably due to better healing, formation of roots are one third to two third and it is much easier to perform surgery in younger patients. We will perform removal impacted teeth when benefits of removing third molar outweighs the complications. Normally the adjacent teeth to impacted wisdom tooth is in high risk of having gingival inflammation because it is hard to maintain that area clean. Worst of all, periodontal pockets might form and it is somehow better to prevent this situation from occuring by removing the impacted tooth. It is easy to get caries on impacted third molars and even on the second molars because it is hard to reach that area during toothbrushing and hence plaque accumulation and formation of caries at that area. Pericoronitis is infection of soft tissue around the crown of impacted tooth and symptoms such as fever, trismus can occur. Food entrapment under soft tissues of impacted third molar might be a cause of pericoronitis, further more, pericoronitis can happens in episodes, even though symptoms might subside but you might get pericoronitis infection in future. So , removal of wisdom tooth might be a solution to end your future nightmare. 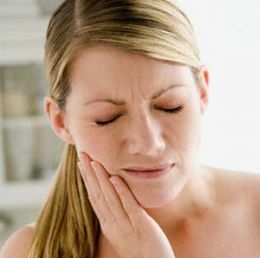 Cyst such as dentigerous cyst can happen when impacted third molars are left in place for a long period , although it is not very common to develop cyst around the area. With the presence of impacted third molar, mandible is weaken and easy to fracture. Removal of third molar is indicated when jaw fracture involves the tooth before applying any fixations. Third molar might contribute to late crowding of anterior teeth and is required to remove to prevent from occuring and will hinder orthodontic treatment when retraction of 1st and 2nd molar is required. Contraindications of removing wisdom teeth are such as patients having systemic diseases, patients undergoing radiotherapy,having high risk of damaging vital structures and etc. Thus, it is important to judge whether removal of wisdom teeth will give more benefits than harmful complications. This entry was posted in Oral Care, Oral Surgery and tagged pericoronitis, wisdom tooth, wisdom tooth pain on March 21, 2011 by SH.